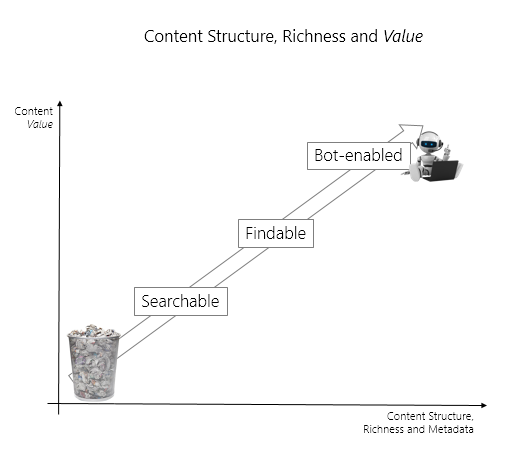 So, if you want to have bots help your users, you had better get started improving your content by making it modular (one question >> one answer << one topic), taggable with rich structured metadata and machine-readable. The more structure and metadata you add to your content, the further away from the wastebasket it gets. Good luck bot-enabling your content!